We are here to enroll students in school, place them in appropriate classes, and help them meet their academic goals. Planning to move? Proof of residency is required for all students that have moved to a new address. 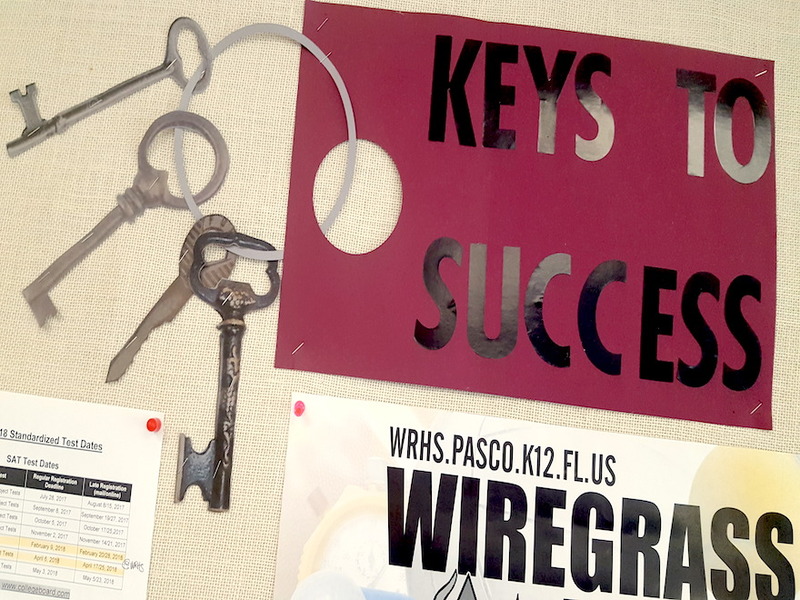 Pasco County School District requires 3 proofs of residency. Proof of residency documents are listed below. No other proof of residency will be accepted. Please provide evidence of owned or leased residence: Copy of deed or property tax assessment records, current lease or rental agreement or notarized letter from the landlord. Please provide one of these: Copy of one of the following current documents supporting stated address: Auto registration, Florida Driver’s License, Florida ID card or voter registration. Before scheduling a conference, please email the teacher with your concerns or leave a message for the teacher through our front office at 813-346-6000. Your message will be forwarded to the teacher. Once you’ve tried to resolve the issue by email or phone and still would like to meet to discuss your concerns, please contact Student Services at 813-346-6011 to schedule a conference. Please note that conferences are held at 7 am or 2 pm. We request that the student be present at the conference. Registration Link – Internal weblink to Registration page For registration questions, please contact Tanya Hilton at 813-346-6009 or email: thilton@pasco.k12.fl.us. In order to provide the best quality service to families, we ask that you submit only fully complete packets. Registration packets can be downloaded or picked up in the Student Services Office. Please be sure to review and complete all 11 pages before the packet is submitted or prior to your appointment if applicable.